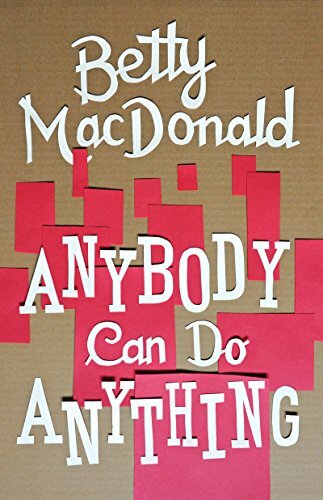 9780295999791 | Univ of Washington Pr, August 29, 2016, cover price $19.95 | About this edition: "The best thing about the Depression was the way it reunited our family and gave my sister Mary a real opportunity to prove that anybody can do anything, especially Betty. 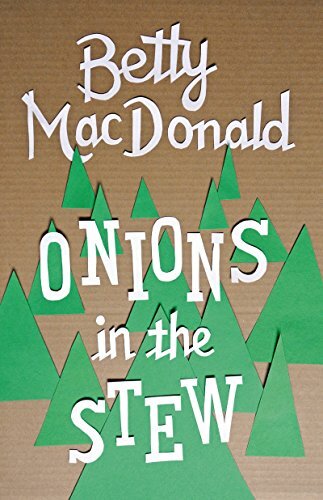 9780295999807 | Univ of Washington Pr, August 29, 2016, cover price $19.95 | About this edition: "In Onions in the Stew, MacDonald is in unbuttonedly frolicsome form as she describes how, with husband and daughters, she set to work making a life on a rough-and-tumble island in Puget Sound, a ferry-ride from Seattle. 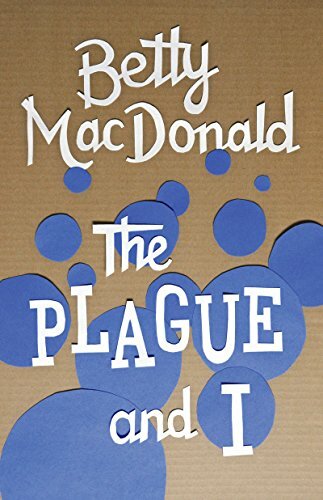 9780295999784 | Univ of Washington Pr, August 29, 2016, cover price $19.95 | About this edition: "Getting tuberculosis in the middle of your life is like starting downtown to do a lot of urgent errands and being hit by a bus. 9780060728120 | Harpercollins Childrens Books, October 1, 2007, cover price $16.99 | About this edition: As the children plan a birthday party for Mrs.
9780060728144 | Reprint edition (Harpercollins Childrens Books, October 1, 2008), cover price $6.99 | About this edition: Mrs.
9780060728137 | Harpercollins, October 1, 2007, cover price $16.89 | About this edition: Mrs.
9781439582220 | Reprint edition (Paw Prints, April 9, 2009), cover price $14.99 | About this edition: Mrs.
9780397317097, titled "Mrs. Piggle Wiggle's Magic" | Lippincott Williams & Wilkins, October 1, 1976, cover price $3.50 | also contains The Calendar of Loss: Race, Sexuality, and Mourning in the Early Era of AIDS | About this edition: Mrs.
9780397317158, titled "Hello Mrs. Piggle Wiggle" | Harpercollins Childrens Books, June 1, 1957, cover price $16.99 | About this edition: A woman with a magic way of curing children's bad habits tries her hand with a bully, a whisperer, and a slowpoke and formulates cures for a show-off and a crybaby. 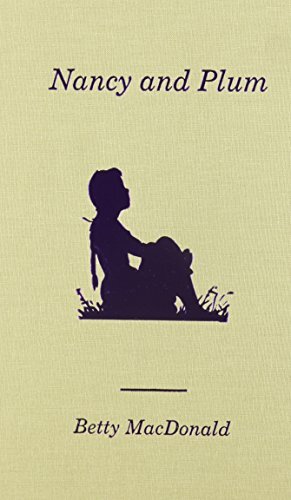 9780397303649, titled "Hello, Mrs. Piggle-Wiggle" | Lippincott Williams & Wilkins, June 1, 1955, cover price $10.95 | About this edition: A woman with a magic way of curing children's bad habits tries her hand with a bully, a whisperer, and a slowpoke and formulates cures for a show-off and a crybaby. 9780064401494, titled "Hello Mrs. Piggle-wiggle" | Harpercollins Childrens Books, October 1, 1976, cover price $5.99 | About this edition: A woman with a magic way of curing children's bad habits tries her hand with a bully, a whisperer, and a slowpoke and formulates cures for a show-off and a crybaby. 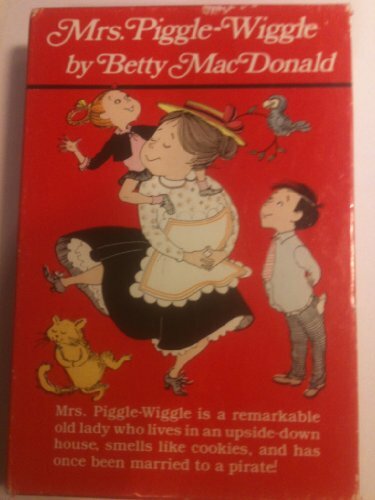 9780788740008, titled "Hello, Mrs. Piggle-Wiggle" | Unabridged edition (Recorded Books, March 1, 2000), cover price $27.00 | About this edition: A classic story from one of the most beloved children's book authors! 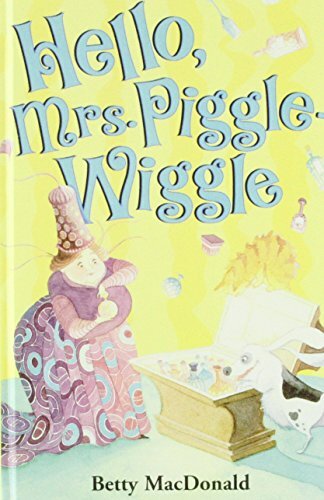 9781435285811, titled "Hello Mrs. Piggle-wiggle" | Reprint edition (Paw Prints, May 22, 2008), cover price $14.99 | About this edition: A classic story from one of the most beloved children's book authors! 9780808524571 | Turtleback Books, October 1, 1999, cover price $16.00 | About this edition: A woman with a magic way of curing children's bad habits tries her hand with a bully, a whisperer, and a slowpoke and formulates cures for a show-off and a crybaby. Mrs. Piggle-Wiggle sends Lester the pig to cure Christopher's bad table manners. 9780060276324 | Harpercollins Childrens Books, February 1, 2004, cover price $12.95 | About this edition: Mrs.
9780060276331 | Harpercollins, May 30, 2007, cover price $12.89 | About this edition: Mrs. 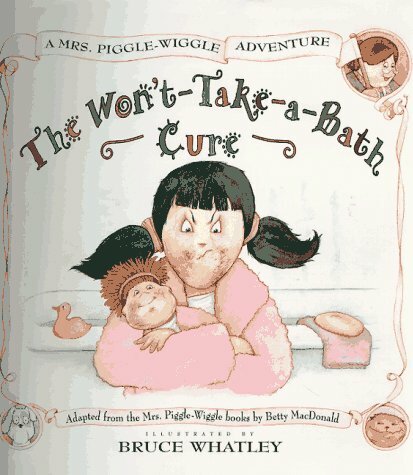 Some radish seeds and a lot more dirt become Mrs. Piggle-Wiggle's cure for Patsy Brown, a stubborn little girl who refuses to take a bath. 9780060276300 | Harpercollins Childrens Books, September 1, 1997, cover price $12.95 | About this edition: Mrs.
9781568490175 | Reprint edition (Buccaneer Books, June 1, 1993), cover price $31.95 | About this edition: "Nancy and Plum" is a children's book written by the world famous author Betty McDonald, who wrote four popular "Mrs.
9780944309001 | Joan Keil Enterprises, October 1, 1987, cover price $7.95 | About this edition: "Nancy and Plum" is a children's book written by the world famous author Betty McDonald, who wrote four popular "Mrs.
9780064401524 | Reissue edition (Trophy Pr, March 1, 1986), cover price $11.80 | About this edition: Mrs.
9780397317134, titled "Mrs. Piggle-Wiggle's Farm" | Harpercollins Childrens Books, June 1, 1954, cover price $16.99 | About this edition: Five tales about the delightful old woman who cured children's bad habits. 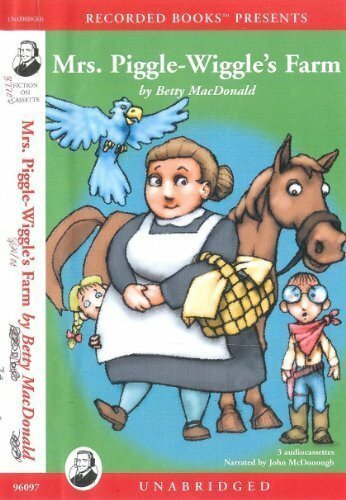 9780788745508, titled "Mrs. Piggle-Wiggle's Farm" | Unabridged edition (Recorded Books, March 1, 2001), cover price $43.20 | About this edition: Ms.
9780397317127, titled "Mrs. Piggle Wiggle" | New edition (Harpercollins Childrens Books, June 1, 1975), cover price $16.99 | About this edition: From her upside-down house, the eccentric Mrs.
9780064401487 | Reissue edition (Harpercollins Childrens Books, June 1, 1985), cover price $5.99 | About this edition: From her upside-down house, the eccentric Mrs.
9780307282484 | Unabridged edition (Listening Library, December 13, 2005), cover price $27.00 | About this edition: From her upside-down house, the eccentric Mrs.
9781575110783 | Unabridged edition (Publishing Mills, December 1, 2000), cover price $20.00 | About this edition: From her upside-down house, the eccentric Mrs.
9781575110714 | Unabridged edition (Publishing Mills, March 1, 2000), cover price $18.00 | About this edition: From her upside-down house, the eccentric Mrs.
9780788738166 | Unabridged edition (Recorded Books, January 1, 2000), cover price $10.00 | About this edition: Mrs.
9780606007283 | Demco Media, June 1, 1985, cover price $13.59 | About this edition: From her upside-down house, the eccentric Mrs.
9780881037937 | Turtleback Books, October 1, 1999, cover price $16.00 | About this edition: From her upside-down house, the eccentric Mrs.
9780686892274 | Pegasus Pr, June 1, 1982, cover price $10.00 | About this edition: It was Christmas Eve.